Woahhhhh. Talk about an alter ego happening here. So what a debacle we have on our hands, folks. The Kentucky Derby happens to be falling on Cinco De Mayo this year. What to do? What to do? Ponchos and Sombreros at Churchill Downs? Not likely. In a situation, we must split the events the way anyone should. Let's get to the Cinco de Derby. For the those of you who are having a Cinco De Mayo celebration, here are all of the accessories you will need to pull off your fiesta. Es muy bueno. Muy. 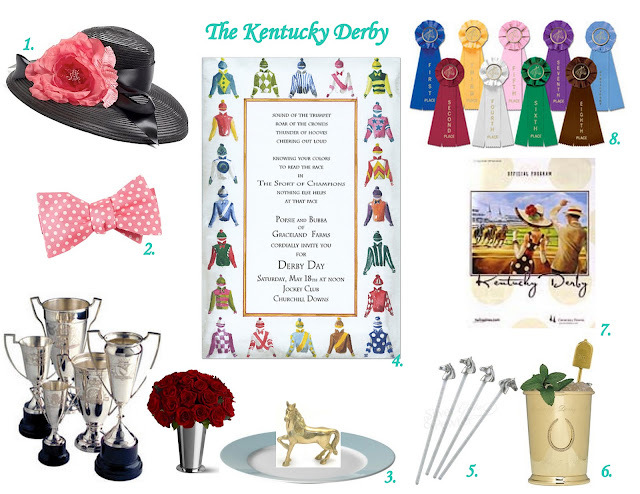 And for those of you loves who are hosting your very own Kentucky Derby soiree, here is everything you could ever want or ever need. Cinco de Mayo is my favorite holiday because I get to drink lots of tequila and eat mexican food= I am in heaven! Nice! I am the lone person in our age group that A. doesn't like mexican food and B. won't touch margaritas. I'm always up for some holiday celebrations and love me a corona and sombrero! Howwwww?!?! How can you not like mexican food or tequila?!? This must change. It must. Yes!! We are totally on the same page this morning :) And between you an me I will talk Cinco de Mayo over the Derby ANY day!! Well as much fun as the big floppy hat would be I'm a waaaaay bigger fan of chips and salsa and margaritas so I will definitely be celebrating Cinco de Mayo! I love cinco de mayo. I should probably plan my dinner. And maybe some of those new crystal light mocktails since I don't drink. They are actually pretty good! I should try the margarita. Maybe I can wear a really big hat at my cinco de mayo dinner and take care of both! What a great post! Love it all!~ I need one of those blankets while I drink my margarita!!! I love all your ideas for both! How will I choose between the two?! Love it! Any excuse for lots of tequila and mexican food I'm all for it!! Love your picks! 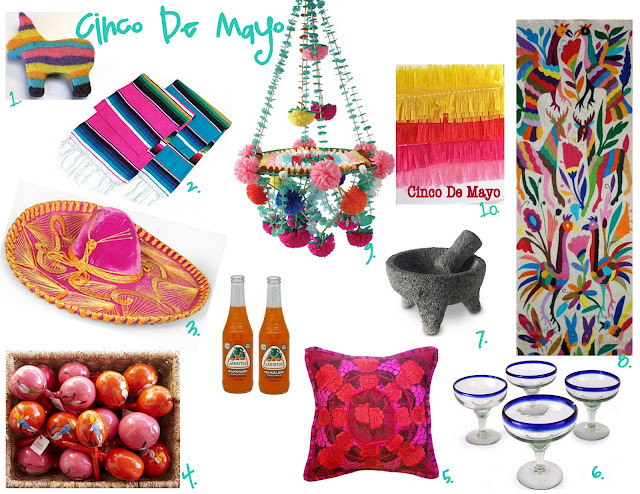 I adore all of the brightly colored items that come along with Cinco de Mayo! I love the idea of throwing a Cinco de Derby party! i've heard a lot of people calling it derby de mayo, which i think is pretty catchy.